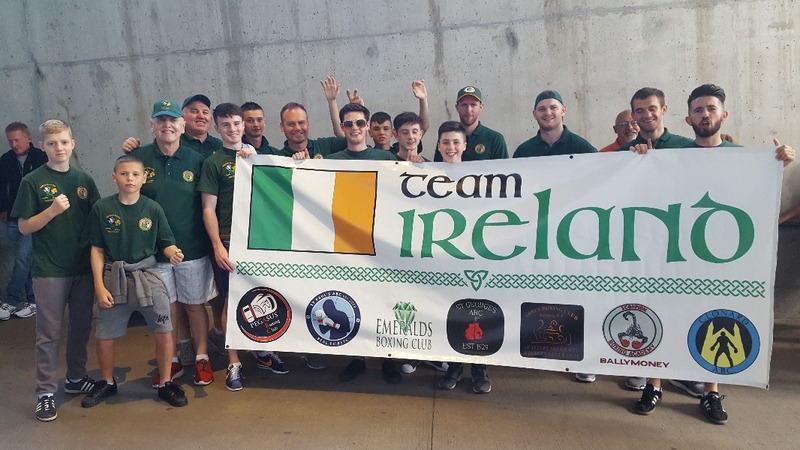 Bridges Beyond Boxing is a collaborative venture between the Ireland Amateur Boxing community and boxing communities in various cities throughout the United States with strong ties within each city’s Irish-American Community. The primary objective is to provide an incredible opportunity to our youth through a meaningful cross-community, cultural and sporting exchange for young athletes from both countries. As a fledgling non-profit organization in our early stages, we need all the assistance we can get to raise the funds needed to cover the expenses of bringing a team of young amateur boxers from one country to the other in order to organize a week-long cultural exchange that culminates in an extraordinary and unforgettable international sporting event. Our very first inaugural event was held in Detroit in the Fall of last year. 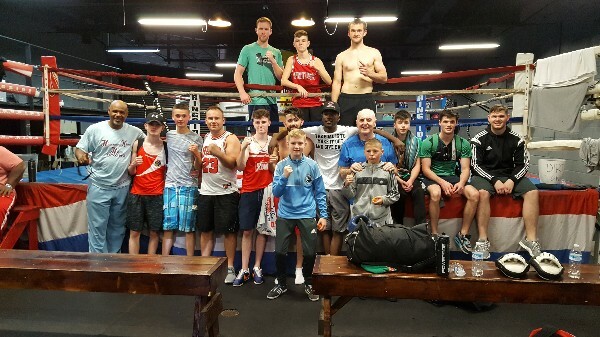 In September 2016, we invited a team of young Irish boxers from 7 diverse boxing clubs throughout Northern Ireland to Detroit to compete in a incredibly well-matched boxing showcase at Bert's Warehouse in Detroit's Eastern Market. After such a successful inaugural event, we are now in the process of bringing Team Detroit to Belfast in May of 2017. 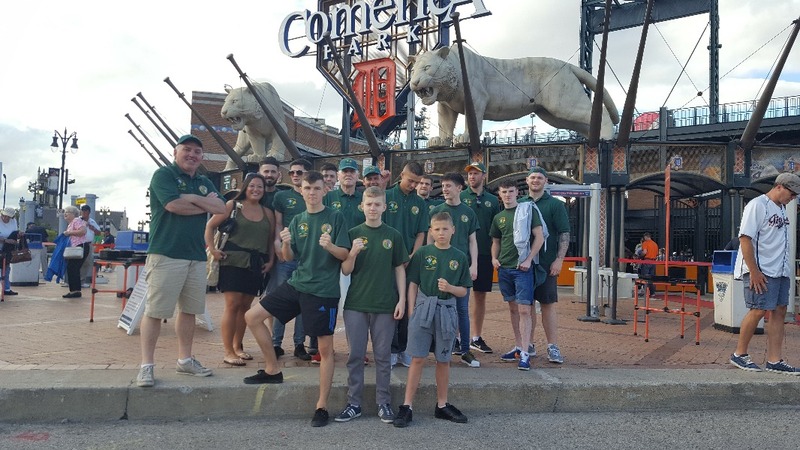 The team, comprised of 13 youth from the Detroit Metro area, along with 5 coaches and officials, depart on May 22nd for a week-long stay consisting of several cultural and educational activities, training in area boxing clubs, and a private reception and tour of City Hall with the Lord Mayor of Belfast. The event is scheduled for May 27th at the Devenish Complex in Belfast. 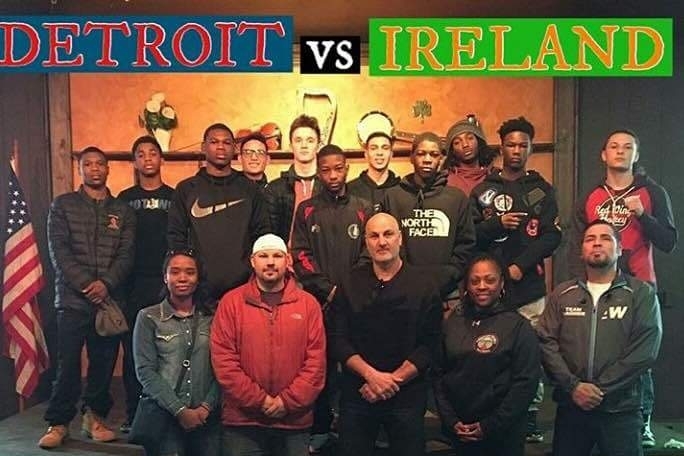 We are now working tirelessly of both sides of the Atlantic to raise enough funds to bring this amazing team of young Detroit athletes over to Ireland for a unique, once-in-a-lifetime experience that these young athletes will not soon forget, and to make the event in Belfast just as successful as our first one in Detroit! Bridges Beyond Boxing is committed to offering our youth a life-changing experience that they might not otherwise have opportunity to have, all through their shared love of boxing. The mission of our initiative is to provide young athletes from both sides of the Atlantic an opportunity to not only participate in international competition, but also to take part in some of the cultural and social experiences with their peers from other parts of the world. 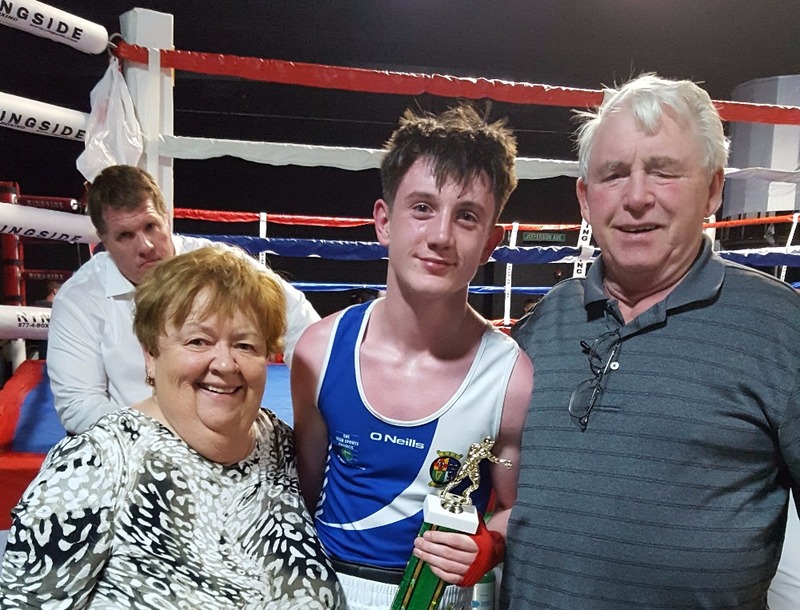 For many young athletes from either country, amateur boxing offers far more than just an opportunity for sport and fitness. 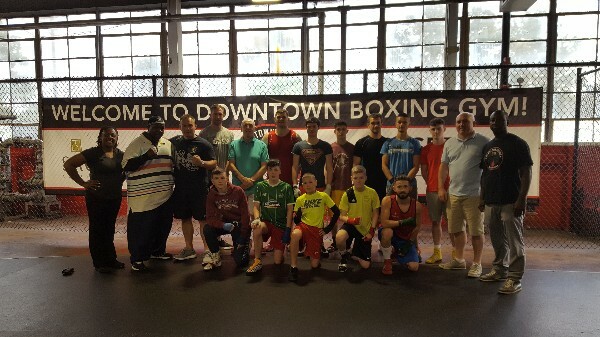 Being a member of a local boxing club provides many of our youths with a place to feel a sense of belonging, develop a strong sense of self, build self-confidence, and receive support they may need to stay off the streets, stay in school, and stay out of trouble. Through boxing, young people develop an abundance of fundamental life skills: dedication, discipline, sportsmanship, respect, camaraderie, hard work. 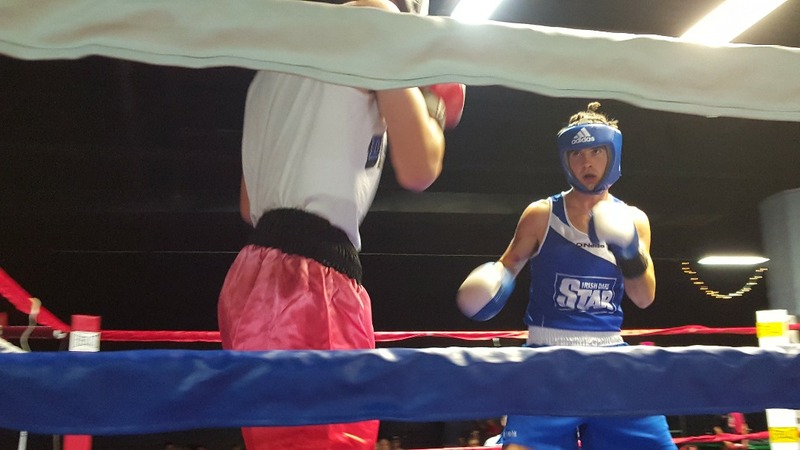 Amateur boxing helps to cultivate these vital life skills that will translate into their everyday lives at home, in the classroom, and eventually, in the job market. Recognizing the sometimes deeply ingrained fissions existing in both countries’ diverse communities, one of the core missions of the Program is to transcend these boundaries by bringing young athletes, particularly at-risk youth, together through their collective love and dedication for the sport. In Ireland, we work to promote a cross-community partnership for local youth that brings both Catholic and Protestant communities from all over Northern Ireland together for an international sporting experience, with the Ballymoney-based Scorpion Boxing Academy and St. Paul's Amateur Boxing Club in West Belfast joining forces to unite communities throughout the countryside. 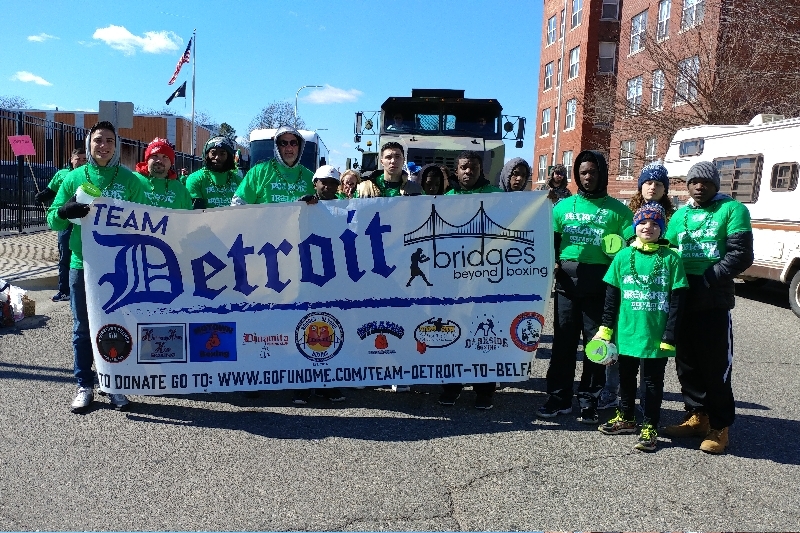 In Detroit, we strive to unify our greater communities that are often fractured because of the racial, socio-economic and ethnic differences between our very diverse communities by bringing together youth from all denominations and backgrounds to participate in this positive sporting and cultural exchange. 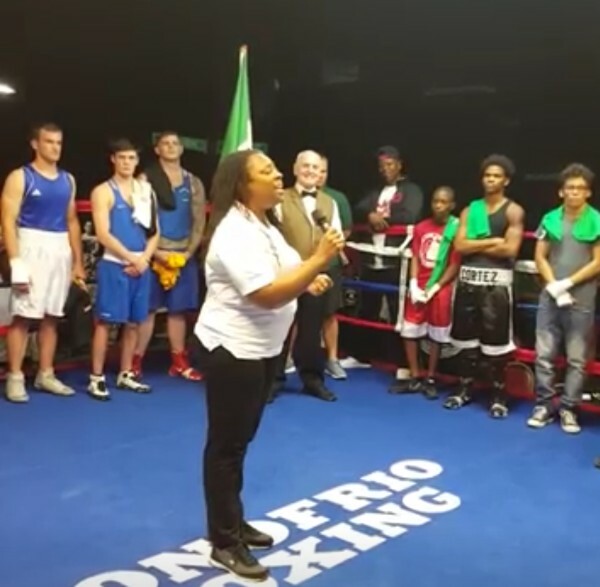 During their week-long stay in the host country, young amateur boxers of all ages, experience, and abilities are brought together to work as a team; this provides these youths with an incredible opportunity to develop strong relationships with other young athletes within their own country while also forging connections with their host-city’s peers, all through their shared love of boxing. The boxers have the opportunity to positively represent not only themselves and their respective boxing clubs, but also their home cities and their country while abroad in the host city. For many of these young boxers, this might be their first time visiting another country, getting onto a plane, or even leaving their own neighborhoods. 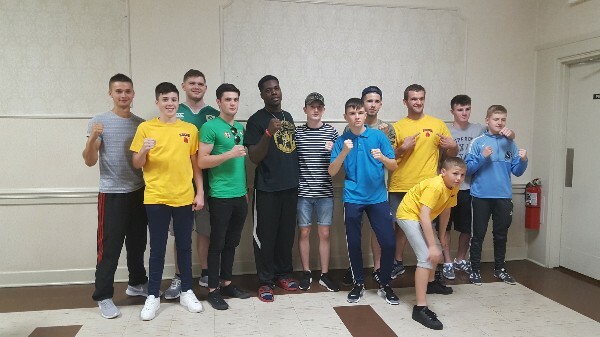 While these youths are traveling across the Atlantic for a highly competitive amateur boxing tournament, the primary focus of our program is to also give these young men and women a positive and meaningful cultural experience, where they travel to places of historical and cultural interest, train at local area gyms, are treated as honored guests of the community, and make life-long friendships with their fellow teammates. What makes this program exceptionally unique is that, on both sides of the exchange, youth boxers stay with host families to immerse them completely within the host city’s community. 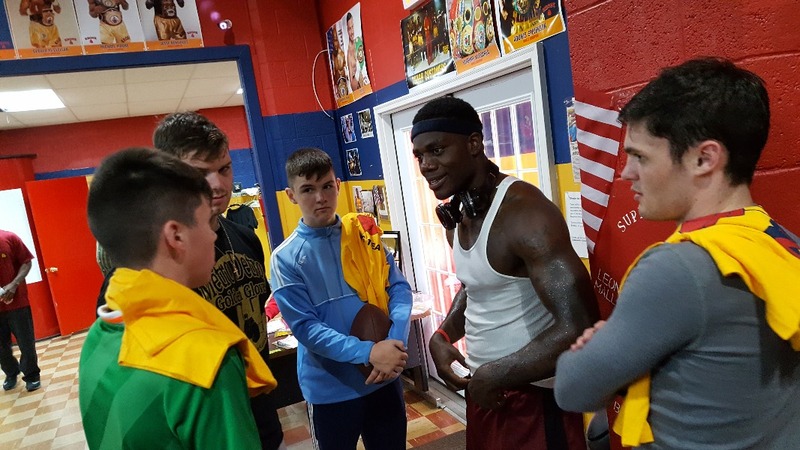 By staying with host families, the boxers are given a small glimpse into the lives of their peers from other cities while participating in cultural and educational activities with their counterparts in the host country. In addition to creating peer connections, the program also hopes to help foster deep and long-lasting relationships between the boxers and their host families, the greater host community, and the many other of the host country’s delegates who participate in their week-long activities. 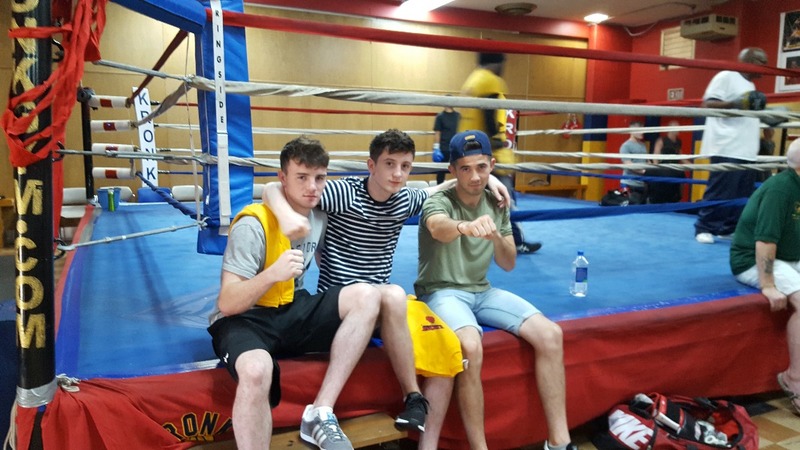 For many young boxers involved, the program offers life-changing experiences that they will remember for many years to come. 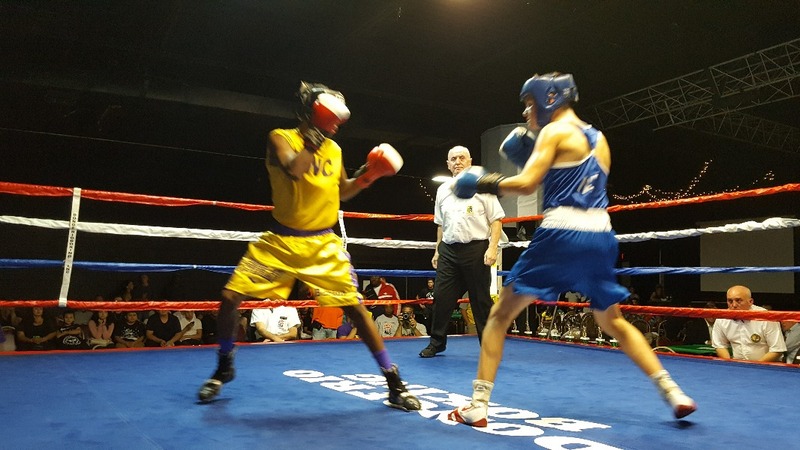 As previously mentioned, in September 2016, Bridges Beyond Boxing: Detroit put on its first inaugural event with the collaboration of various members of the Detroit boxing community and guidance from key members of the Metro Detroit Golden Gloves. The show was an incredible success, consisting of 11 highly competitive bouts with an audience of 400+ people at Bart’s Warehouse in downtown Detroit. 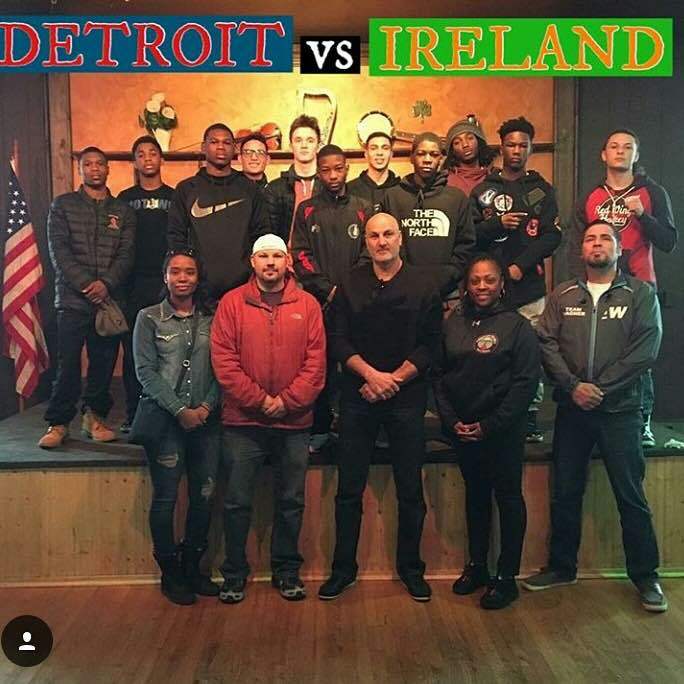 Team Detroit consisted of boxers from 9 different boxing clubs from all over the Detroit Metro area competing against boxers from all over Northern Ireland. 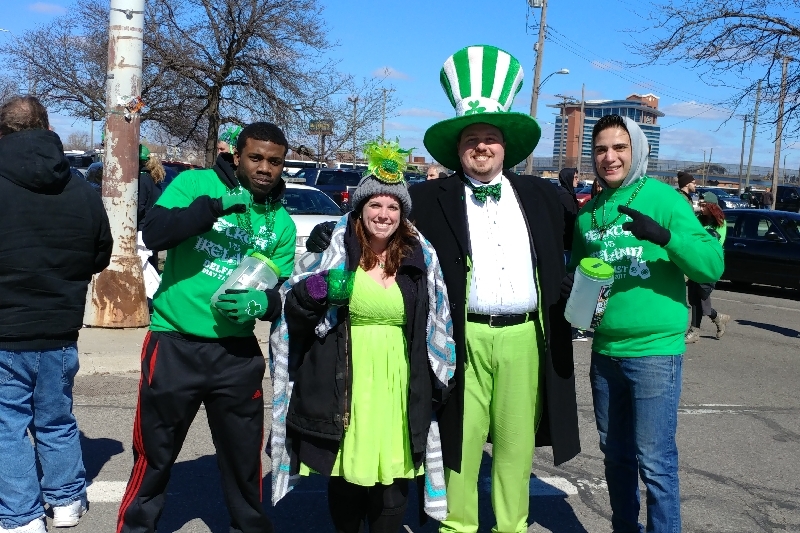 The event garnered overwhelming support not just from the boxing community, but also the Irish community in Detroit. 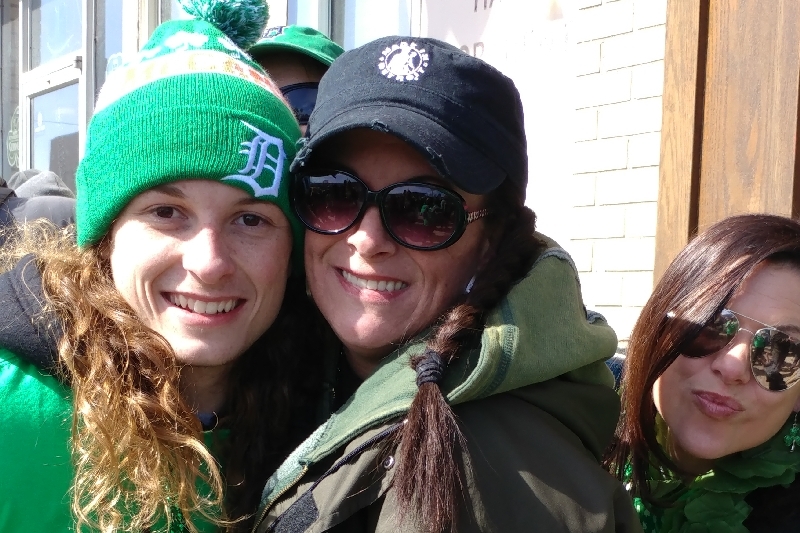 With the enthusiasm of area Irish organizations from Corktown and beyond—including The Knights of Equity, The Gaelic League, the United Irish Society, and the Ancient Order of Hibernians—the Irish community gathered around both Team Detroit and Team Ireland not only to demonstrate their sparked interest in the sport of amateur boxing, but also to support the at-risk youth in their own city. dinner in Greektown at Firebird Tavern, and a farewell reception at the AOH. After the incredibly successful turnout for the first event, the program is quickly building steam on both sides of the Atlantic and we are pleased be making this into an ongoing, annual exchange for many more years to come! Hi everyone!!! Thank you all so much for your continued support!! Bridges Beyond Boxing has been extremely busy on both sides of the Atlantic trying to raise funds while our boxers--both former and current--continue to hone their skills in the sport they love!!! Thank you thank you thank you!!!! Here they are: Team Detroit! Boxers, Coaches, and Officials....all can't wait to head out to Belfast in May!! 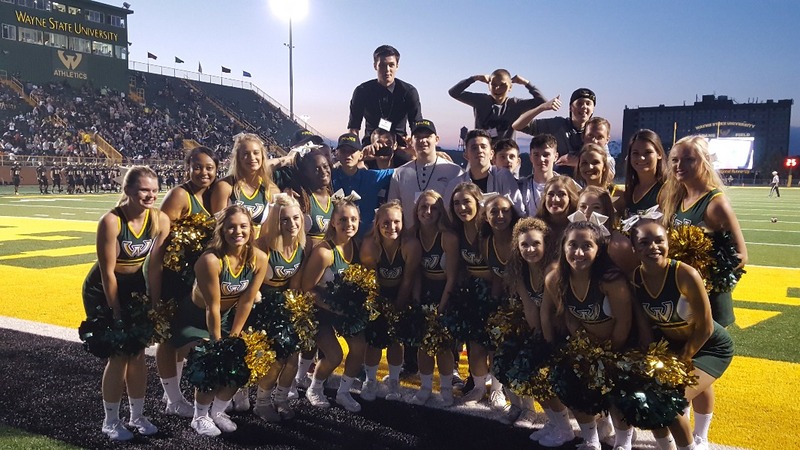 Your generous donations are getting us that much closer to bringing this incredible experience to all these deserving and talented young athletes! Thank you all for your support! !